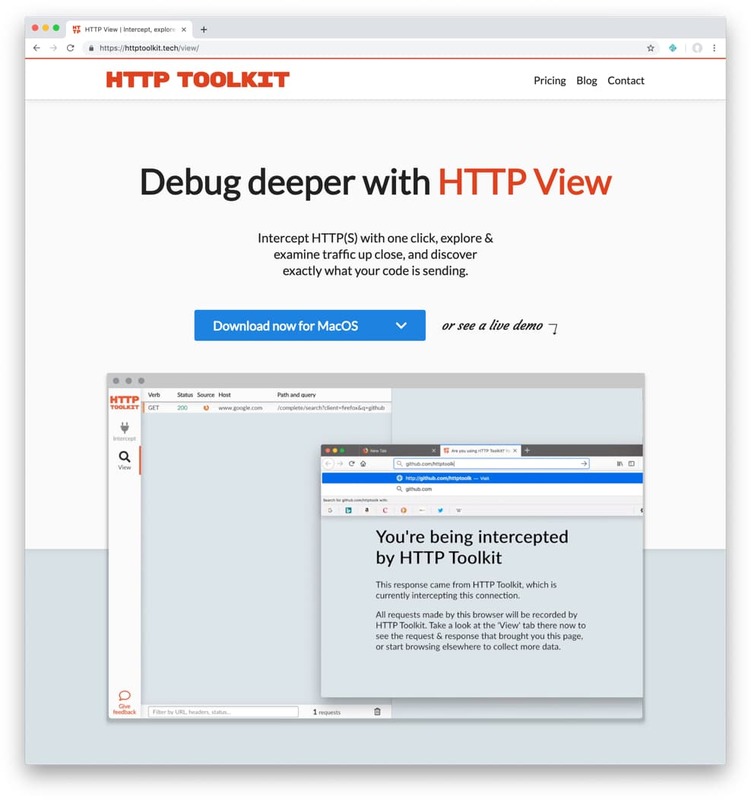 HTTP View from HTTP Toolkit offers web development tools to help you understand the HTTP traffic being sent and received by your sites or apps. The application lets you see HTTP requests, live edit, delay, or even inject errors. With this tool you can rapidly prototype APIs or calls to services. Hosted on Netlify, the site for this product also makes use of Netlify Functions for the accounts and purchasing flows along with tools like with Sentry and Paddle. 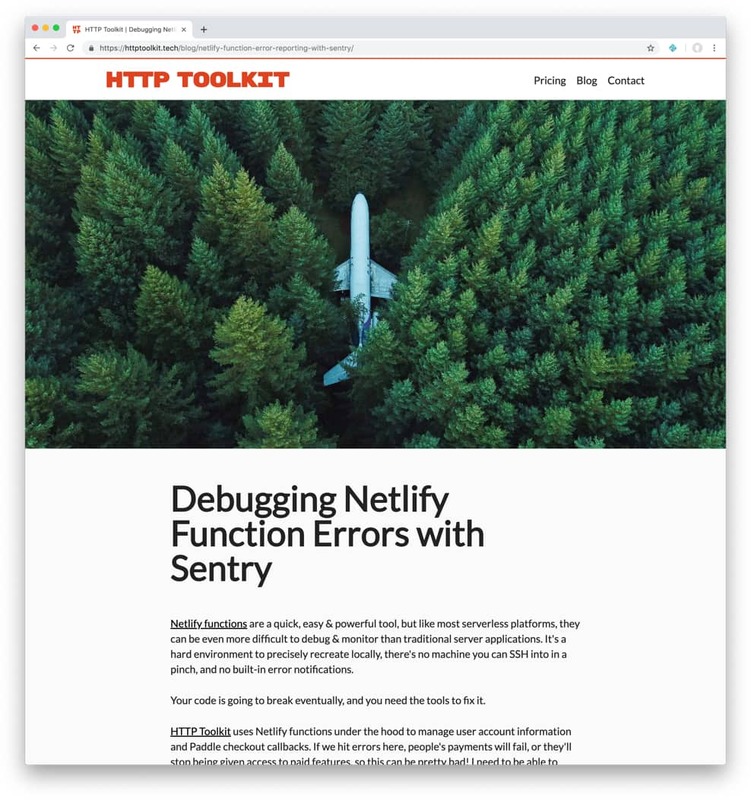 The makers of HTTP Toolkit also shared some details about how Netlify Functions were used, along with some code in an excellent blog post.